The Grand Trunk Pacific Railway chose the name Junkins for this community using an alphabetical system. When the train arrived here all the letters up to "J" had been chosen. There was a Mr. Junkins, the Vice President of a consulting company of engineers for the Grand Trunk Pacific Railroad Company, that the town was thus named after. In May 1910 the first train arrived in Junkins. In 1928 many families were living in Junkins. They found the name unattractive and a contest was held and the name "Wildwood" became the official name in 1929. 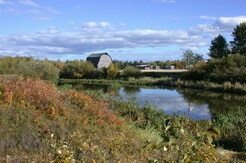 Logging and farming have been the main business in the area. The oil patch generated many jobs in the area since the oil boom in the fifties. A more intense and detailed history can be obtained from the local history books "Where the Lobstick River Flows" Volume I printed in 1987 and Volume II printed in 2005. This signboard collage reflects all the advertisers that provide our funding for this website. 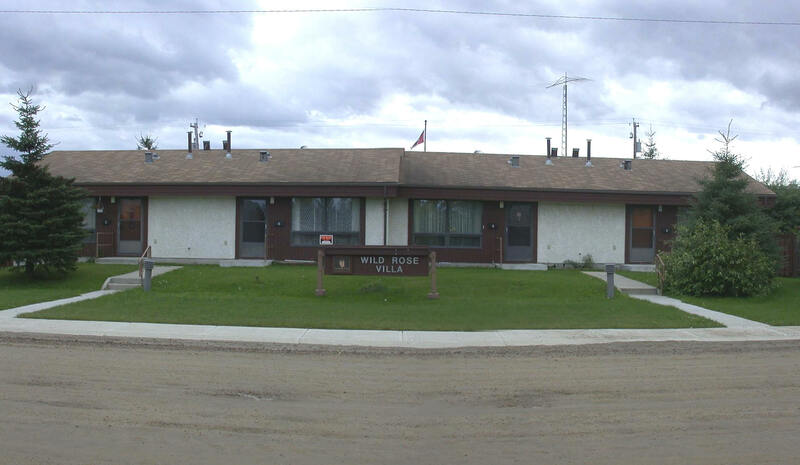 The Chip Lake Historical Society maintains this sign board site at the corner of 50th Street and 50th Avenue on the main entrance to Wildwood with the funding from all clientele. From time to time these change and we make every effort to keep this up to date. Wildwood community is a very special place. 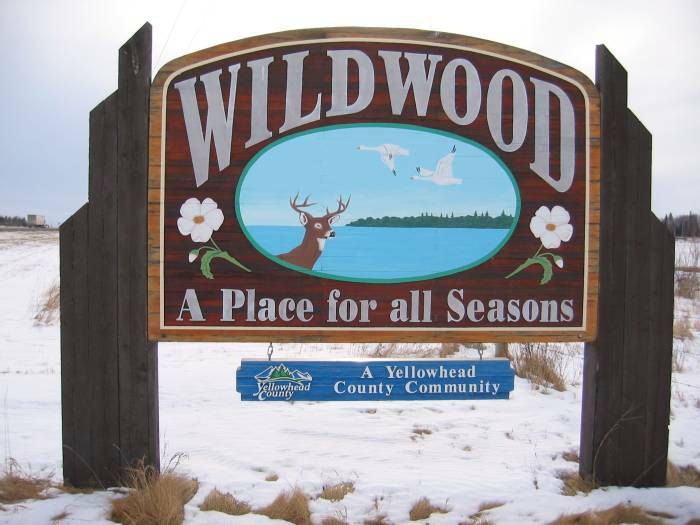 The hamlet of Wildwood, situated on the meandering Lobstick River in 2004 celebrated its 75th anniversary as Wildwood. 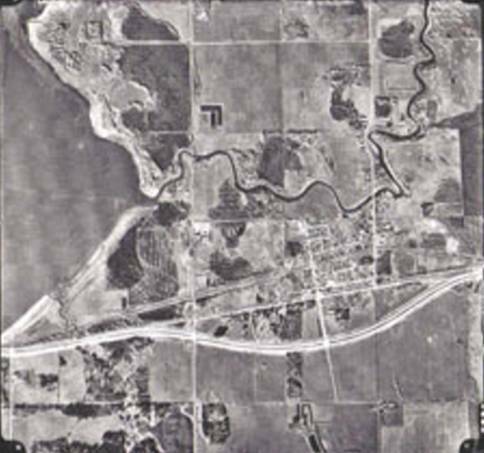 As with any populated area, there are continuous changes but the Lobstick River and Chip Lake in the aerial photograph are constants, here when early pioneers settling along the advancing railways named the place Junkins. This is a 1996 photo. that were part of the 'Take an Alberta Break' campaign.